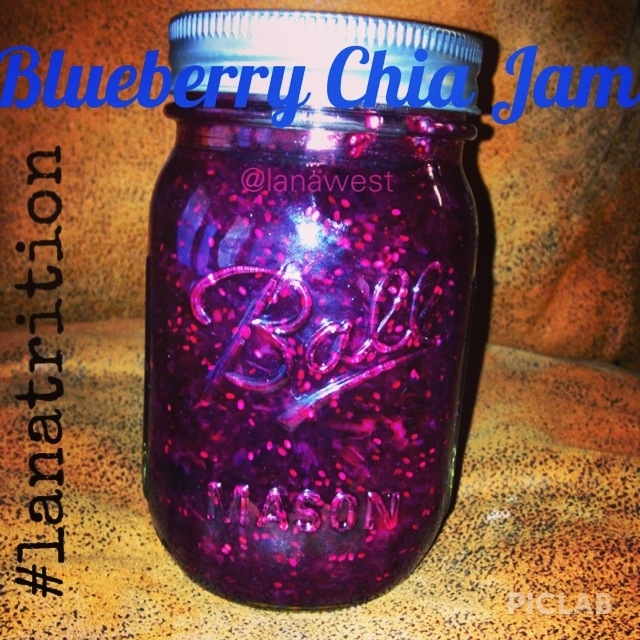 Blueberry Chia Jam is packed with fiber, antioxidants, protein and good carbs to start your day! No sweeteners are added in this short little recipe. Pour rinsed blueberries into a microwavable dish and heat up enough to be mashed. It will have a liquid consistency when done mashing. Mix in Chia seeds and water. Pour into pretty jar to store. Refrigerate about an hour or until jam-like.